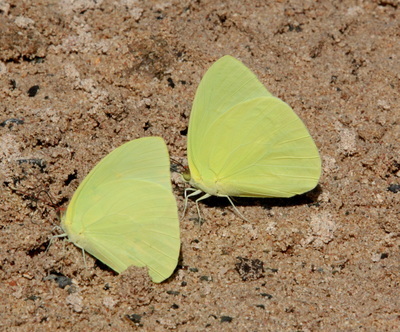 Description and Similar Species: Wingspan 60-70mm. Sexually dimorphic. 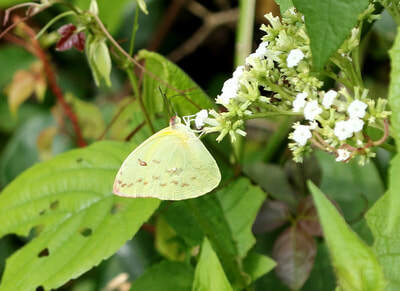 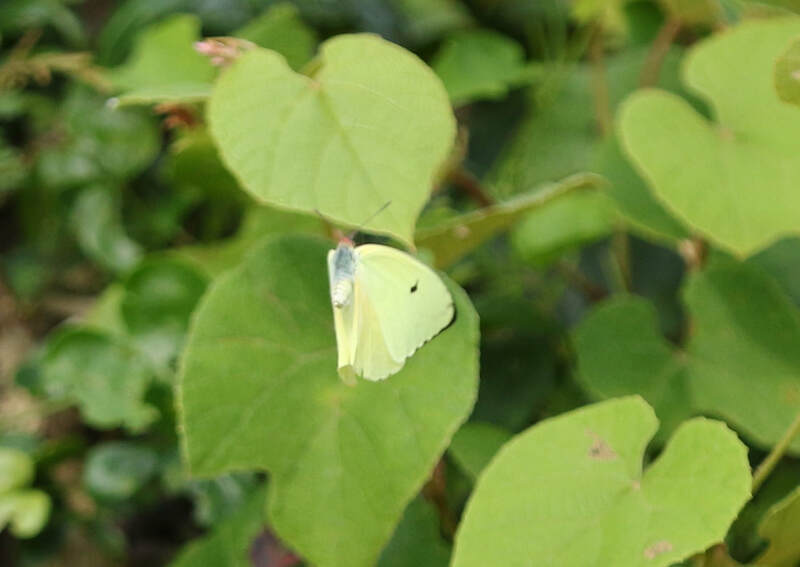 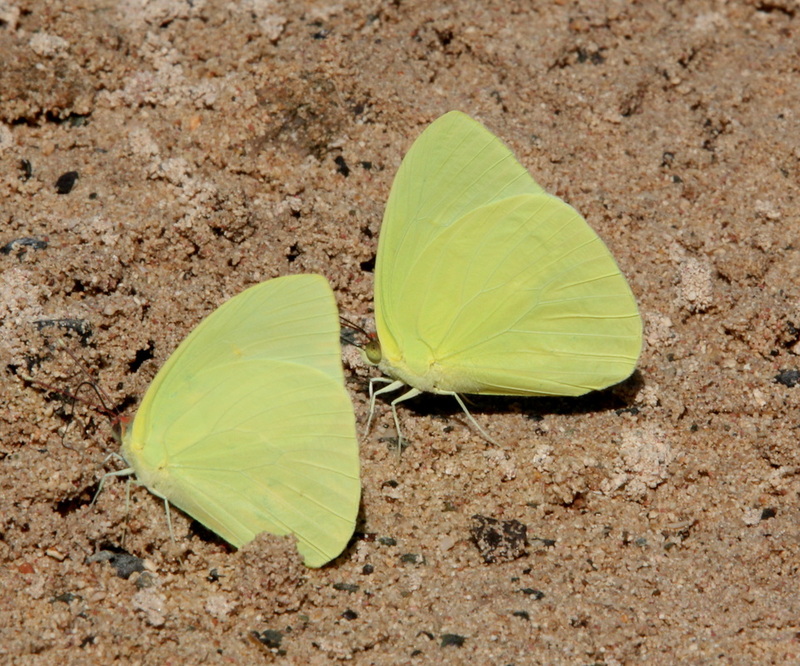 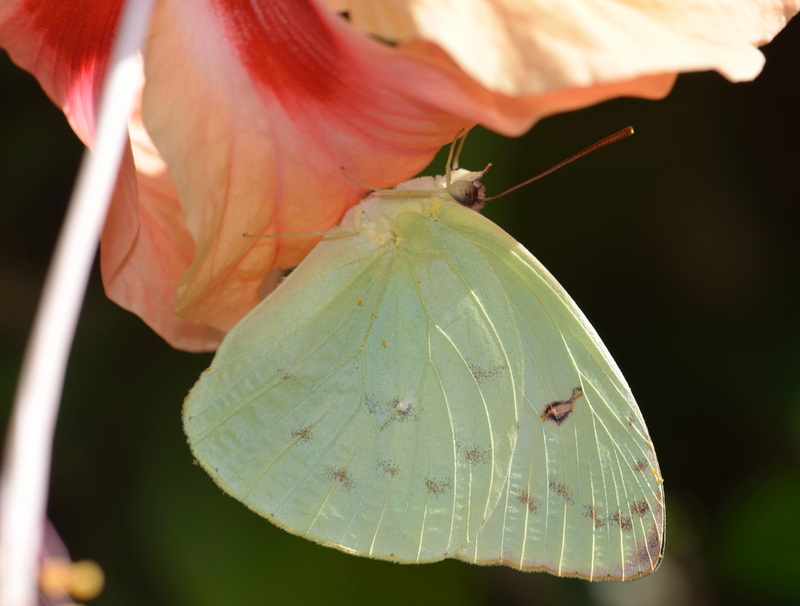 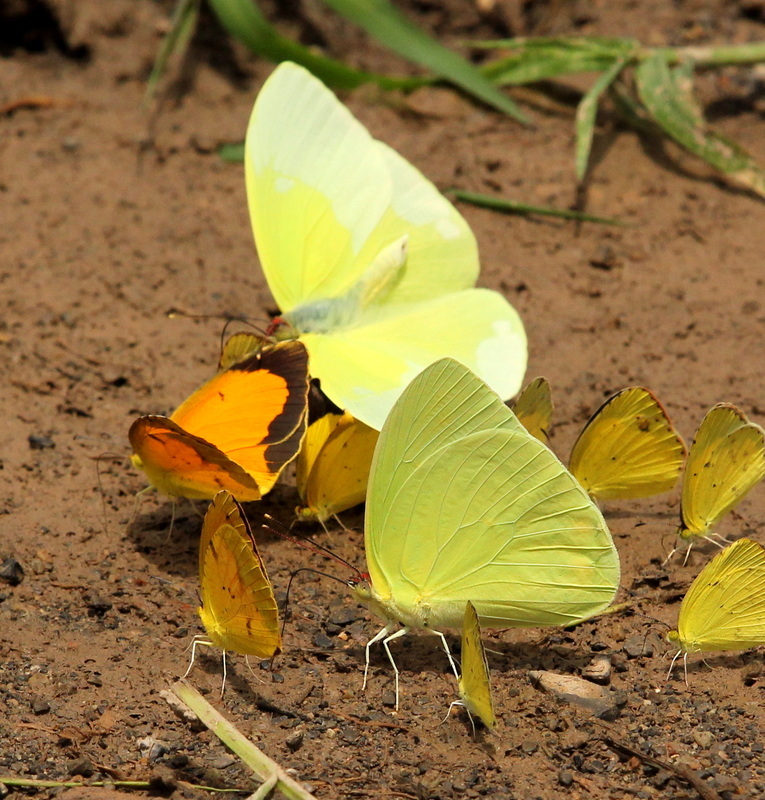 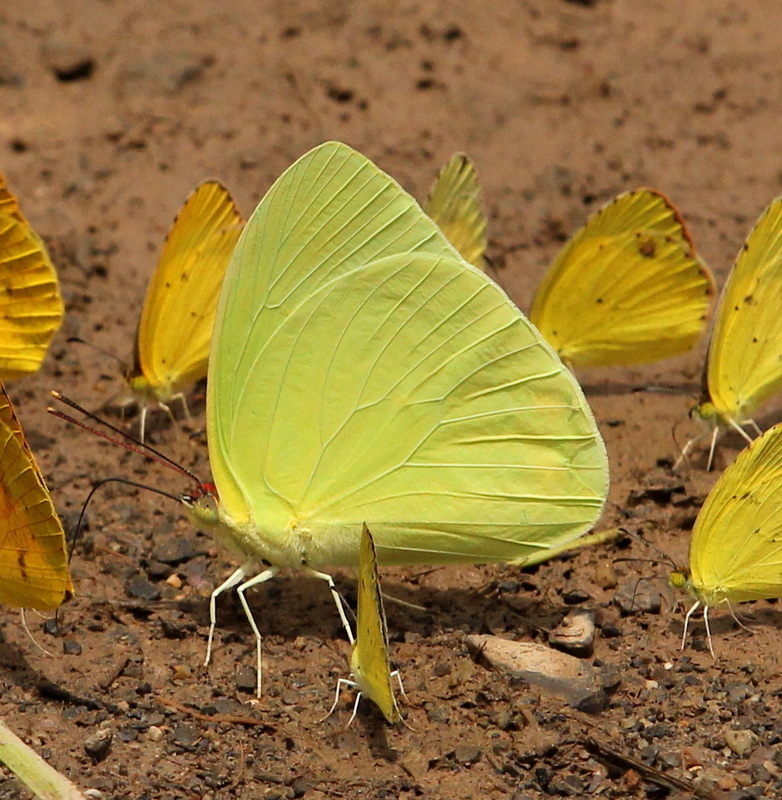 Both sexes are very similar to the previous species Neleis Sulphur Aphrissa neleis except that they lack the red dot at the base of the hindwing underside, and the uppersides are rather paler than A. neleis. 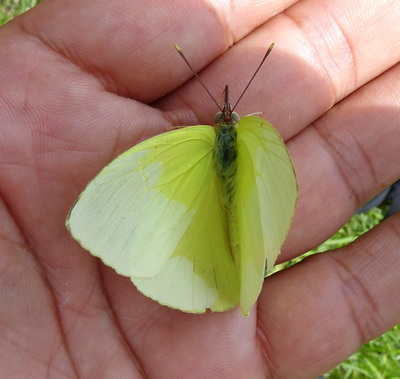 In females the black line on the upper forewing is more extensive along the costa than that species. 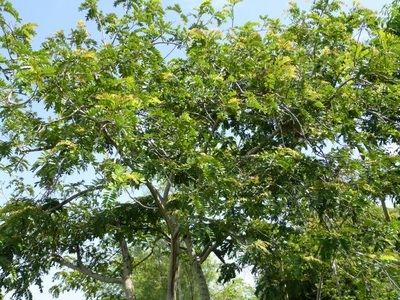 Range: Recorded from southern USA down to Argentina including many of the islands of the Caribbean. Status: Widespread and common in open lowland areas. 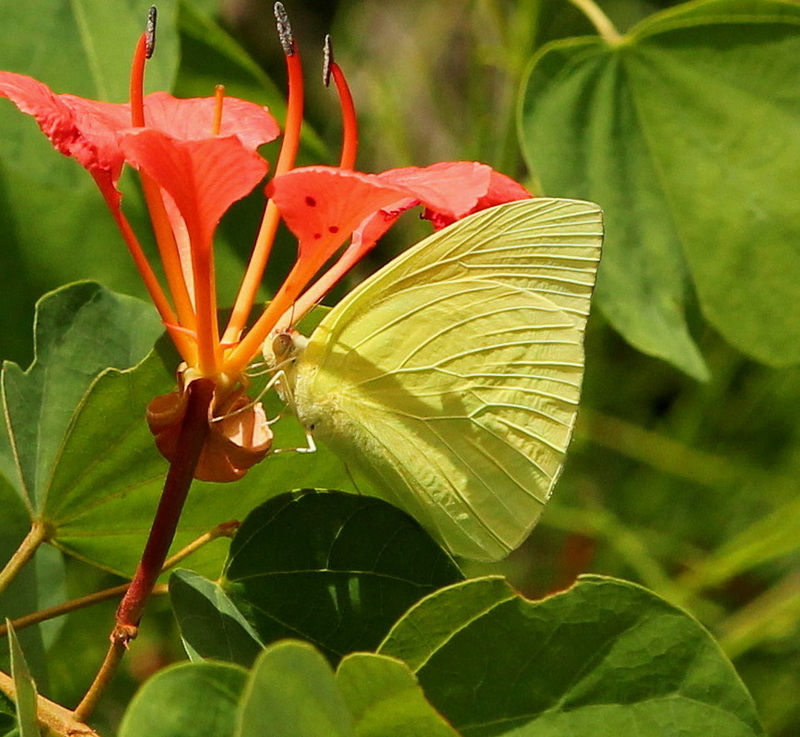 Nectar Plants: Said to visit a variety of red flowers (Hernandez) and also on damp ground. 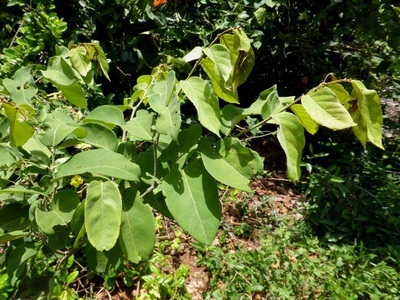 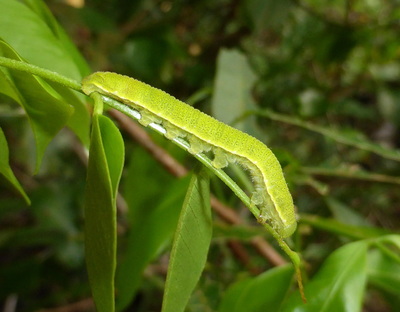 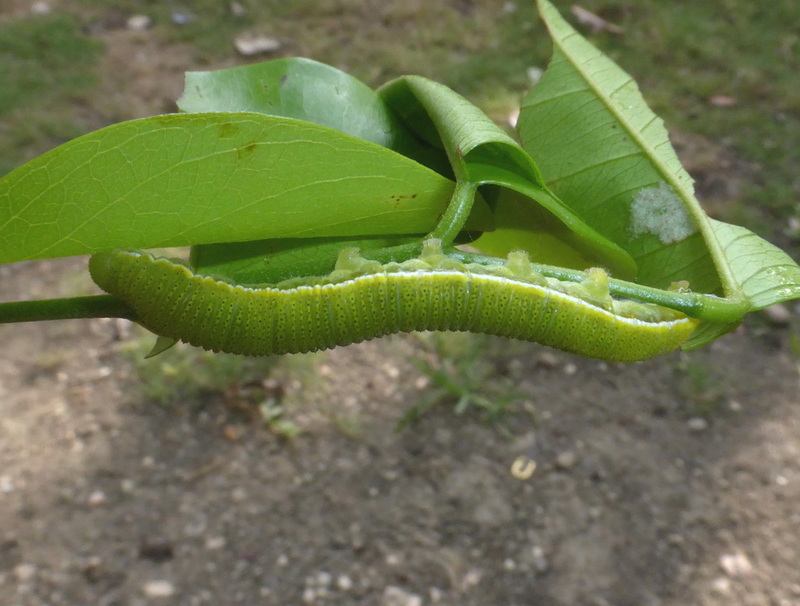 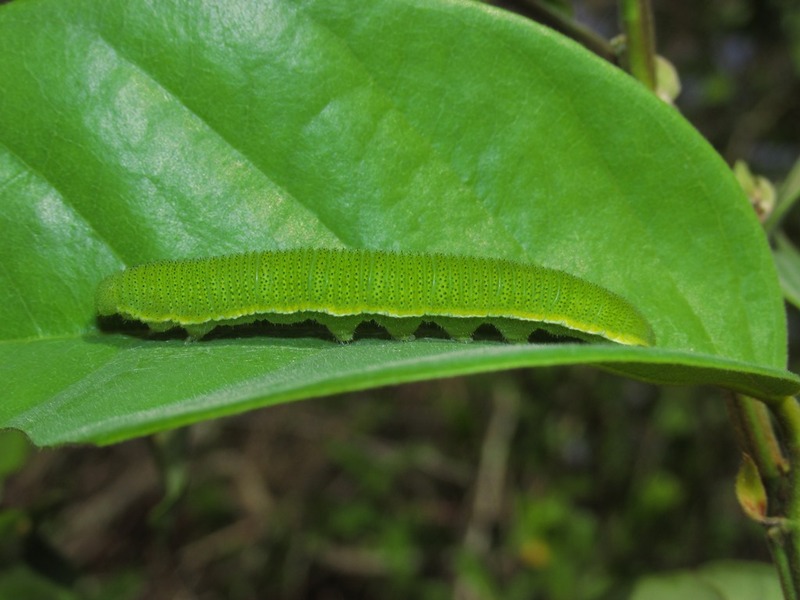 Larval Foodplants: Cassia grandis, Entada, Dalbergia, Calliandra, Melicocca bijugens.